Chicago Review Press Inc., owner of Chicago Review Press and Independent Publishers Group, has bought Council Oak Books, a longtime IPG client publisher. Council Oak will become a Chicago Review Press imprint, and its Wildcat Canyon Press imprint will become a series under the Council Oak Books imprint. Founded in 1987 by Paulette Millichap and Sally Dennison, Council Oak Books has emphasized publishing Indigenous voices, early advocates of women's issues and pioneers in body, mind and spirit. Its titles have included Beyond Fear: A Toltec Guide to Freedom & Joy, the Cherokee Feast of Days series and Native New Yorkers by Evan Pritchard. "I am really looking forward to this new collaboration between two established independent presses with many shared interests," said Cynthia Sherry, publisher of Chicago Review Press, who will oversee the acquisition. "Council Oak Books has a wonderful trove of backlist titles that I plan to update and keep in print." Council Oak publisher James Connolly added: "I can't think of a more proper and good home. It is a tremendous fit for two venerable independent publishers. Indeed, in these harrowing times, it is more important than ever that the voices of independent authors be heard, well-represented and widely available. I have complete faith that Chicago Review Press will carry forth the ongoing mission that Council Oak began those many years ago. Chicago Review Press and Council Oak will provide present and future readers with many sorely needed perspectives on the issues of the day, the ongoing development of personal enrichment, and the crucial, and often untold, stories and truths that our history so fundamentally and evocatively provides." Baker & Taylor has sold a part of the company to Ingram, but not the retail trade part that had been the object of a Federal Trade Commission preliminary investigation late last year. Ingram Entertainment, which distributes DVD and Blu-Ray videos, videogame hardware, software and accessories, mobile accessories, audio music, audiobooks and licensed merchandise, has bought "certain assets" of Baker & Taylor's entertainment division, including "retail customer agreements for the purchase of video and audio music products." In the general announcement of the sale, Ingram and B&T emphasized that the purchase "does not involve book products or the Baker & Taylor businesses that provide support and services to public libraries, retail booksellers and publishers." And in a letter to bookseller customers, B&T wrote in part, that while the sale "marks a meaningful change to Baker & Taylor's retail entertainment customer operations, it has no impact on our bookselling operations. "Our commitment to providing booksellers with the best in physical books and audiobooks remains the same. There are no changes to how you work with Baker & Taylor. When it comes to bookselling, our commitment is as strong as when we were founded in 1828." Last fall, representatives of the FTC interviewed a range of people in the book world, including indie booksellers, publishers and wholesalers, in what several interviewees were told was a look at possible antitrust implications for a purchase of B&T retail operations by Ingram Content Group, which is a separate company from Ingram Entertainment. David Ingram, chairman of Ingram Entertainment, said that "structural changes in the physical home entertainment marketplace" were behind the deal that had been concluded. "Acquiring these entertainment assets of Baker & Taylor will enhance our financial performance by enabling us to process more units through our existing facilities throughout the country," he said. Bob Webb, Ingram Entertainment's president and CEO, added: "Baker & Taylor has been a respected competitor and a valued contributor to the home entertainment products distribution business for many years. Ingram Entertainment looks forward to the opportunity to increase our sales of products to video, audio music and online retailers." B&T president David Cully said, "The sale of our retail entertainment assets to Ingram Entertainment will allow both companies to bring greater value to customers through the strengths of our respective wholesale distribution businesses. For Baker & Taylor, that means delivering the most innovative and efficient content distribution services to our retail, public library and publisher service customers everywhere." In the originally published version of this article, we stated that Ingram Entertainment and Ingram Content Group are both part of Ingram Industries. While Ingram Content Group is part of Ingram Industries, Ingram Entertainment is an independent company. Best known for its literary fiction, Europa Editions is launching Europa Compass, a nonfiction imprint that will focus on "sophisticated yet accessible titles on travel and contemporary culture, on popular science, history, philosophy, and politics." By next year, it will publish six to eight titles annually. The first Europa Compass title is A Summer with Montaigne by Antoine Compagnon, which will appear in May, in which the author explores the life and impact of the 16th century philosopher and essayist Michel de Montaigne. Other titles include Out of Italy by the late historian Fernand Braudel (July); The Brilliant Language by Andrea Marcolongo (fall), "a love letter to ancient Greek"; and Berezina by Sylvain Tesson, the travel writer's account of tracing Napoleon's retreat from Moscow to Paris in a motorcycle sidecar. Many of the titles will be slim volumes that "can be read in a handful of sittings and remembered for a lifetime." 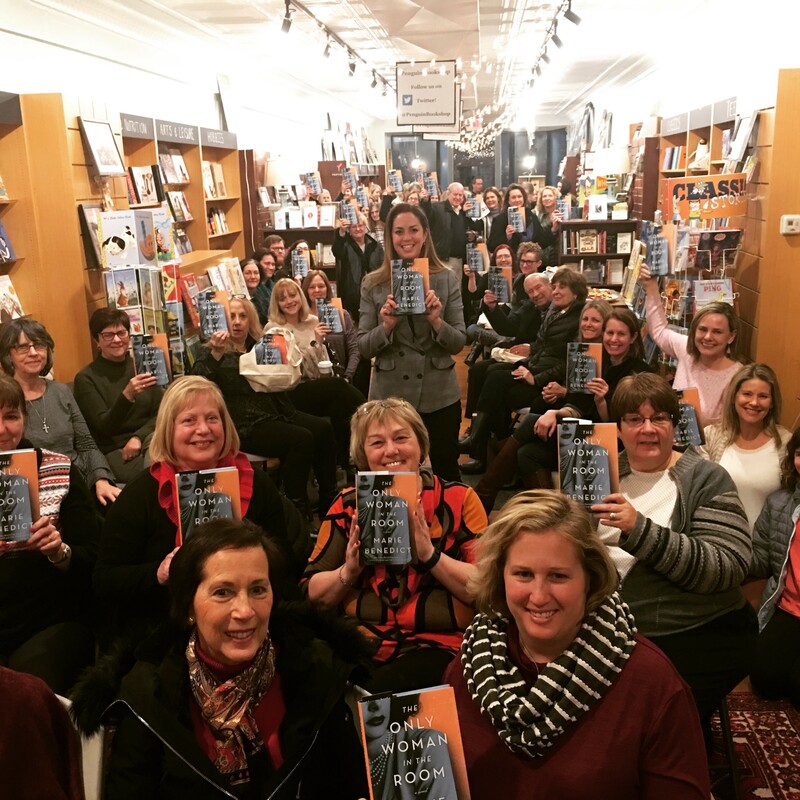 Over the past week, Shelf Awareness has examined how independent bookstores around the country navigate rising rents, lease negotiations and relationships with landlords. While every store's landlord and lease agreement are different, below are a number of common points taken from conversations with Michael Tucker, president and CEO of Books Inc.; Nina Barrett, owner of Bookends & Beginnings; Christine Onorati, owner of WORD Bookstores; John Evans, co-owner of DIESEL, a bookstore; Krijn de Jonge, co-owner of Queen Anne Book Company; and Annie Philbrick, owner of Bank Square Books and Savoy Bookshop & Cafe. Do Your Research: Every bookseller with whom Shelf Awareness spoke emphasized the importance of doing one's homework before going into lease negotiations. In particular, the American Booksellers Association's ABACUS data was described as invaluable. Educate Your Landlord: Booksellers may need to educate prospective landlords, as well as bankers, brokers and whomever else, about the financial realities of the book business and the very narrow margins with which bookstores operate. 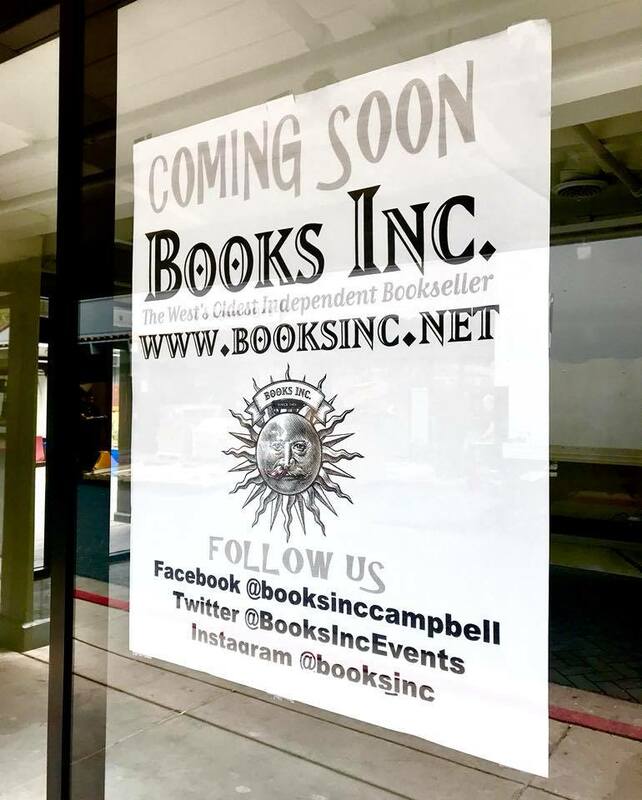 Booksellers should also take the opportunity to explain some of the less quantifiable benefits that bookstores bring as anchor tenants and community hubs. Don't Force It: Several booksellers noted that having a below-market rent is a necessity for being able to survive in certain expensive parts of the country, and if a prospective landlord is unwilling to budge from a rent cost that's too high, then move on. Don't Be Afraid to Ask for Concessions: When negotiating with landlords, booksellers shouldn't be afraid to ask for concessions, including things like not paying rent during a build-out or having floors redone and lighting replaced. Keep an Eye Out: Booksellers may want to include language in their lease that would allow them to get out of it should the worst happen, and be wary of landlords charging "cost of living increases" above 3%. Get to Know Your Landlord: Once a lease is signed, booksellers should try to see their landlord at least a couple of times per year, and not just wait until the lease is nearly up to contact them. Michael Tucker advised getting lunch or dinner with them twice per year or so; that way, the relationship won't only be about a legal agreement. Diversify Your Business Model: To help defray the costs of rising rents or even things like the rising minimum wage, booksellers may want to do things like carry more high-margin sidelines or drive pre-orders and web sales. Christine Onorati noted that many booksellers cannot afford to "dig [their] heels in anymore." Customers Can Help: In Evanston, Ill., a proposed real estate development that would've torn down Nina Barrett's building was defeated by her passionate customer base and community. And in San Francisco, a huge outpouring of community support made the landlords of Books Inc.'s Laurel Village store reconsider a massive rent hike. The Ideal Arrangement: Several booksellers pointed to a lease where the bookseller pays a fixed percentage of the previous months sales as rent as the ideal scenario. John Evans noted that in those instances you are "truly a partner" with your landlord. Annie Philbrick also praised this model, but acknowledged that it requires a bit of luck in finding the right kind of landlord. On Thursday, the second part of the American Booksellers Association's Winter 2018-2019 Kids' Next List was delivered to nearly half a million of the country's best book readers, going to 436,104 customers of 130 participating bookstores. The first part of the spring catalogue will be sent on Thursday, March 14. The e-newsletter, powered by Shelf Awareness, features winter Kids' Next List titles, with bookseller quotes and "buy now" buttons that lead directly to the purchase page for the title on the sending store's website. 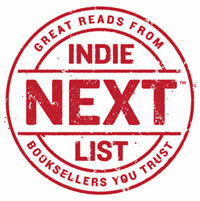 The newsletter, which is branded with each store's logo, also includes an interview (from Bookselling This Week) with the author whose book was chosen by booksellers as the number-one Kids' Next List pick, in this case Brigid Kemmerer, author of A Curse So Dark and Lonely (Bloomsbury YA). For a sample of the newsletter, see this one from Short Stories Bookshop and Community Hub, Madison, N.J.
Marie Benedict celebrated the launch of her novel The Only Woman in the Room (Sourcebooks Landmark) last week at Penguin Bookshop, in Sewickly, Pa.
"Independent bookstores are the anti-Amazon, anti-retail apocalypse future," Axios predicted in a new YouTube video titled "Indie bookstores flourish in an Amazon world." "In the last 10 years, indie bookstores have grown by nearly 50% across the country," Axios said. "Why it matters: Amazon's rise has led to the demise of the chain bookstore industry. By 2016, 55% of all U.S. trade book purchases were on Amazon. Yet, American Booksellers Association CEO Oren Teicher says, 'Those stores don't create the kind of experience that you have in an indie bookstore.' 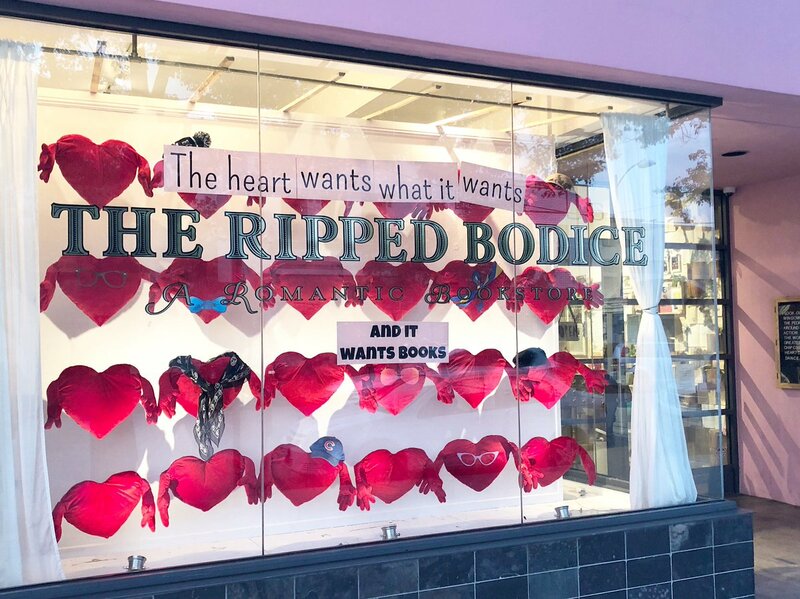 "
The Ripped Bodice, Culver City, Calif., shared a photo of its new front window display on Facebook, writing: "The heart wants what it wants... and it wants books! Leah's Valentine's Day window display features our beloved @IKEAUSA pillows as well as our #1 suggestion for gifts for everyone this season of love." Anna Jordan has joined Books of Wonder, New York City, as special events coordinator with the goal of increasing partnerships with area schools through both of the bookstores' Manhattan locations. She will work on author and artist appearances, book fairs and other special events at both stores and off-site. She formerly worked in author relations and events at Islandport Books in Yarmouth, Maine, and served two terms as the conference co-director for the New England region of the Society of Children's Book Writers and Illustrators (SCBWI). 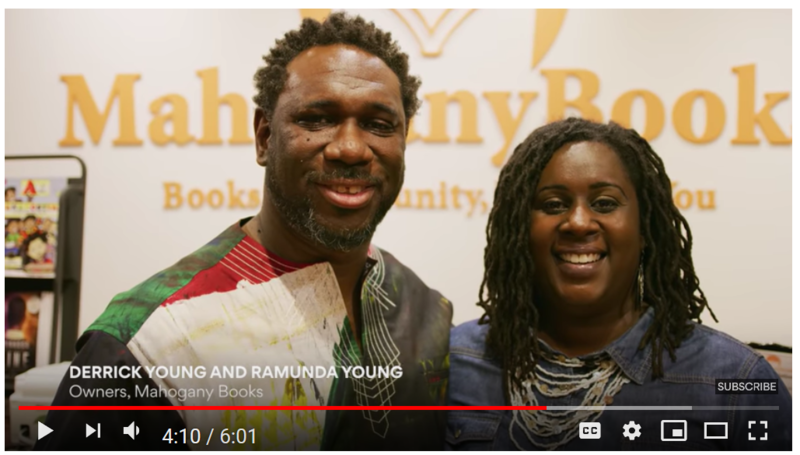 She also taught middle school for 10 years, is an author and was the owner/operator of Creative Bookings, a boutique agency booking children's authors and illustrators at schools and libraries nationally and internationally. 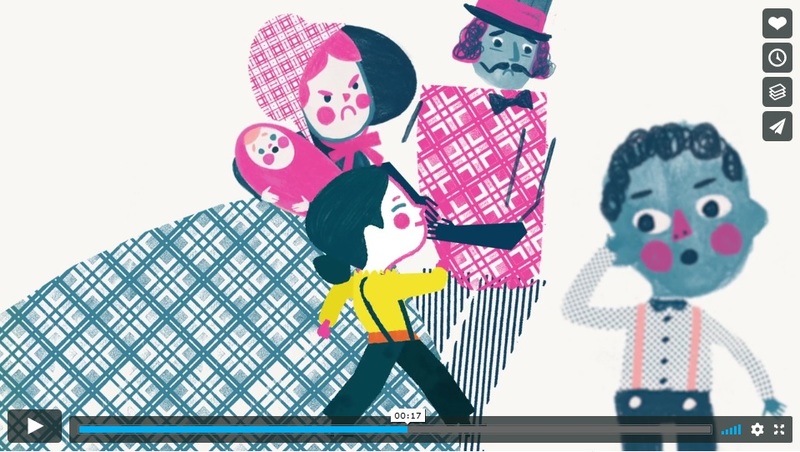 Mary Wears What She Wants by Keith Negley (Balzer + Bray). CBS This Morning: Steven Rogelberg, author of The Surprising Science of Meetings: How You Can Lead Your Team to Peak Performance (Oxford University Press, $24.95, 9780190689216). Late Show with Stephen Colbert: Rebecca Traister, author of Good and Mad: The Revolutionary Power of Women's Anger (Simon & Schuster, $27, 9781501181795). To celebrate the January 18 debut of Carmen Sandiego, the new animated Netflix series, Houghton Mifflin Harcourt partnered with Miami-Dade County Public Schools recently to bring nearly 2,000 students together for an event with superstar Gina Rodriguez, the voice of Carmen. Thousands of students nationwide, from Boston to Milwaukee to Chicagoland, joined the fun virtually via live stream. During the event, fifth and sixth graders from Miami competed in a Carmen-themed game show while connecting with Gina and learning more about geography and global exploration. Each student in attendance received the new Who in the World is Carmen Sandiego? hardcover book. HMH is donating an additional 6,000 copies to classrooms across Miami-Dade County. "Carmen is a cultural touchstone who needs little introduction--the star of multiple computer games, TV shows and educational resources used at school and at home, the mysterious heroine in the red fedora was inescapable for those who grew up with her," said Caroline Fraser, head of HMH Productions. "We are thrilled to be expanding her story and sharing her with kids today--and reconnecting with their teachers and families as well!" HMH chief marketing officer Amy Dunkin added that Carmen Sandiego "has always inspired children to learn about, respect and celebrate other cultures, and those values are core to who we are as a learning company here at HMH. Carmen's adventures are an engaging complement to the classroom experience for a new generation of students and their teachers. As a whip-smart, creative and brave Latina heroine, Carmen is a special role model for students who may not often see themselves represented in books and on screen." Hannah Sullivan has won the £25,000 (about $32,225) T.S. Eliot Prize, awarded annually to the author of the best new collection of poetry published in the U.K. and Ireland, for Three Poems, the Guardian reported. "A star is born. Where has she come from?" said chair of judges Sinéad Morrissey. "I don't know her personally, I hadn't read her in magazines or anywhere else before. She has not come through the usual creative-writing, pamphlet route. She has just arrived, and it is breathtaking. I couldn't be more delighted if I had won it myself." Morrissey added that the decision was unanimous: "Our relationship with her work only deepened on each subsequent rereading. It is not just the formal mastery, but how that formal mastery is so well-handled as to be almost invisible. That is the height of praise. You almost don't notice the architecture underneath because you are so compelled by what is being said.... [Three Poems] is taking on perennial themes such as our mortality, our sexuality, our gender and our movement through time and place, and doing it in such a fresh and observant way. It is an absolutely exhilarating collection and it is all the more surprising that it is a debut." 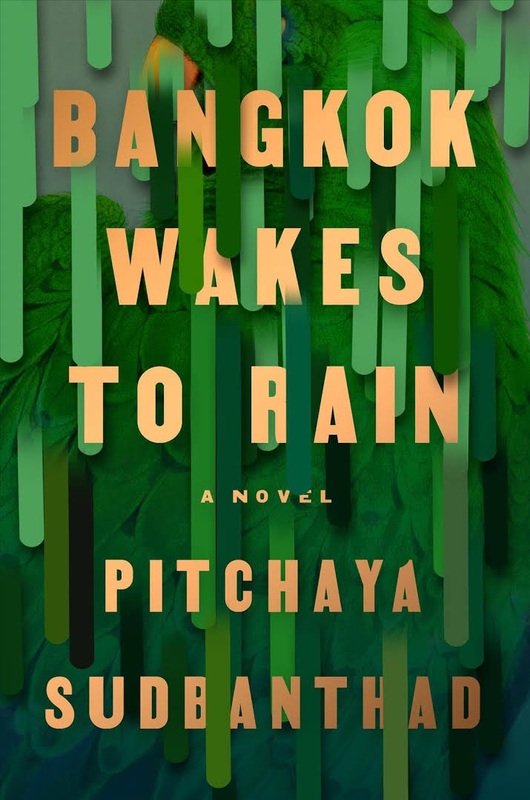 Pitchaya Sudbanthad's Bangkok Wakes to Rain is a kaleidoscope of perspectives and stories: a flurry of lives that pass by each other, inhabit the same spaces and impact their city. Reminiscent of David Mitchell's Cloud Atlas, this is a novel comprised of many stories that crisscross and break apart, forming a fractured, buzzing depiction of one of the world's great metropolises. With no strict chronology, Bangkok Wakes to Rain follows inhabitants of a building in the middle of the city from the 19th century to the near future, when Bangkok has collapsed under the chaos from climate change. Characters meet for brief periods, connecting with one another incidentally or merely by calling the building home during some point of their lives. While not explicitly political, the tales focus on outsiders: those removed from typical Thai society due to ethnic background, personal history or simple geography. Each story resonates like part of a choir singing in harmony. The most central characters are Nee and Mai, two women of different generations who meet at the building. Nee, who is older and is Mai's swimming instructor, took part in the 1973 popular uprising, losing her lover and innocence in the violence. Mai, a child of the millennium, watches the future overtake her home city, and eventually comes face to face with the consequences of human inaction on climate. Both women struggle for connection while attempting to assert themselves amid the changing politics and culture of their eras. Juggling a dozen plotlines over an extended period of time is quite a feat. It takes a little while for Sudbanthad to get everything up and running, but once he does, reading Bangkok Wakes to Rain feels like watching a spinning top stay perfectly upright. The stories move together to create a potent, elegiac whole, expertly evoking the sorrow that can come with nostalgia and showing how loss in the past echoes on into the future. This is an assured debut, a testament to Sudbanthad's skill that he succeeds at such a conceptually and formally challenging work. Those who have never seen Thailand can conjure up images of Bangkok past and present, and even peek into its possible future. Bangkok Wakes to Rain is a beautiful, wistful piece of place-making. --Noah Cruickshank, adult engagement manager, the Field Museum, Chicago, Ill. Shelf Talker: Bangkok Wakes to Rain is an elegiac novel that beautifully depicts the Thai capital from past into the near future.